What does it mean if your Star Sign is Leo? Fire sign; ruled by the Sun. → Click here to read your Leo horoscope! Upside: Leo tend to be honest and decent people, opting to do the right thing regardless of the situation. They love organization so that they can find their ‘things’. Leos love material goods and luxury and want those that they love to experience this wealth as well. 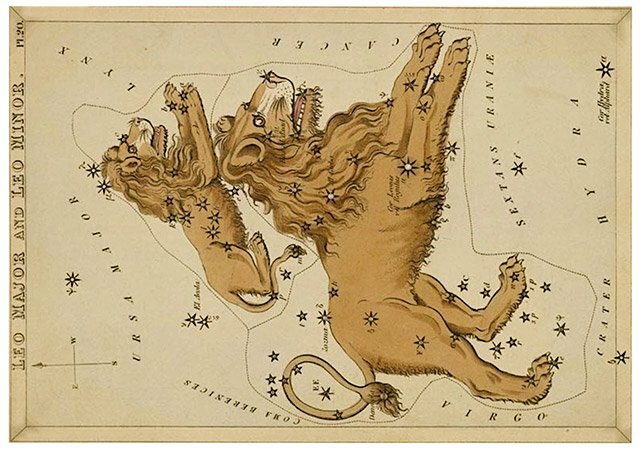 Leo are generally accepting of everyone initially and make decent, lasting relationships. Downside: Leo have a great sense of self-worth which can cross the line into arrogance. Leo can tend toward extravagance if they are not satisfied with what they have. Because they like to be in charge, they can often become smothering to their mates and friends, which may leave them alone (which Leo hates). Divorce and loss are devastating to this sign as they are all about the community and family. Leo is a fire sign, like Aries and Sagittarius.